He might not have won at Sunday's 2015 Oscars, but that doesn't mean Benedict Cumberbatch isn't still a winner. Not only did The Imitation Game actor have fun, especially with that flask, but he also remained an inspiration throughout the entire event (before, during, and after). In his usual fashion, Cumberbatch gave some great quotes about being nominated, being able to honor Alan Turing, and on his Academy Award loss. It shouldn't come as a surprise that Cumberbatch would remain composed, happy, and thrilled during the Academy Awards. He always seems to have a good time at any event — especially when he's photobombing (which I don't think he did Sunday evening) — all while proving how grateful he is to be in attendance and given any type of honor for the work he loves. Plus, anytime he talks about his wife Sophie Hunter and his future child the entire world swoons with delight. 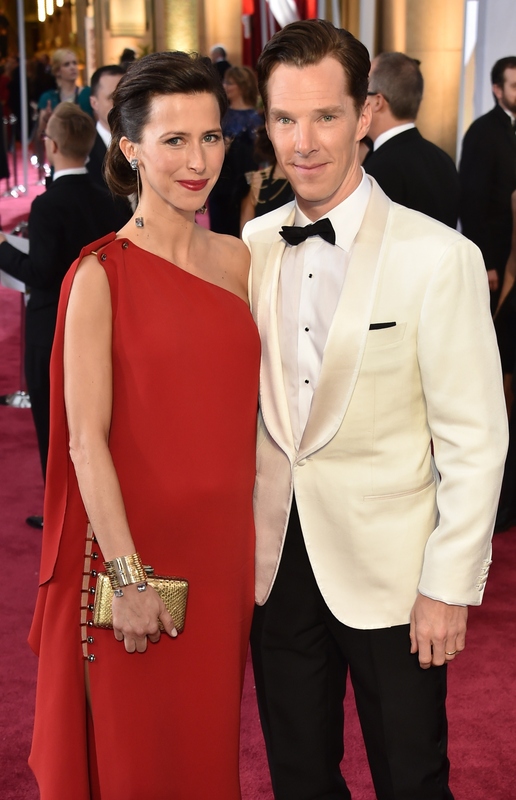 Yep, Cumberbatch made the Oscar evening even better. With that said, here are six Cumberbatch quotes from Sunday's Oscars showing just how amazing the Sherlock star is and forever will be. Keep on being you, Benedict. "I won. We all won. Anyone who's sitting in that audience won. There's no such thing as 80 percent of losers when it comes to being nominated for an Oscar." In a chat with BBC News, Cumberbatch showed, once again, that he truly loves his work and doesn't need an award to prove it. "Talking about the film and this role, this particular human being, Alan Turing, I'm happy to do it. I don't care how much noise I have to make to do it... This is just another stepping stone to get this man the recognition his life deserves. His work, what he suffered, but what he brought to the world as a father of computer science, as a gay icon, and as a war hero." When he talks like this, not only does Cumberbatch bring positivity to the world, but he also brings life to a man who truly deserves to be honored and recognized. "We all won the minute we got this job... Graham's win, basically, that's it, that's it for all of us." Cumberbatch didn't need to win, because he couldn't be prouder for Graham Moore, The Imitation Game 's screenwriter, who took home the award for Best Adapted Screenplay. "I'm carrying sunshine everywhere I go, at the moment." "Amazing. Just amazing. I mean giddy, ridiculous, over-the-top, but fun." Here are all of the feelings Cumberbatch felt while at the Oscars. Yeah, he describes it perfectly. Lastly, Cumberbatch said what we all thought during the Oscar broadcast.